This will be a first of it’s kind in Lagos. This competition is opened to both beginners and experienced kayakers. The competitions shall be held in accordance with the regulations of Naidrenalin Adventures. A competitor may not compete for more than one of the categories. It’s a marathon race, so not just speed is required but endurance and determination. Each race will begin at a starting point and ends at the same starting point i.e kayak towards a marked destination and return back to starting point. The first to get back to starting point wins the race. 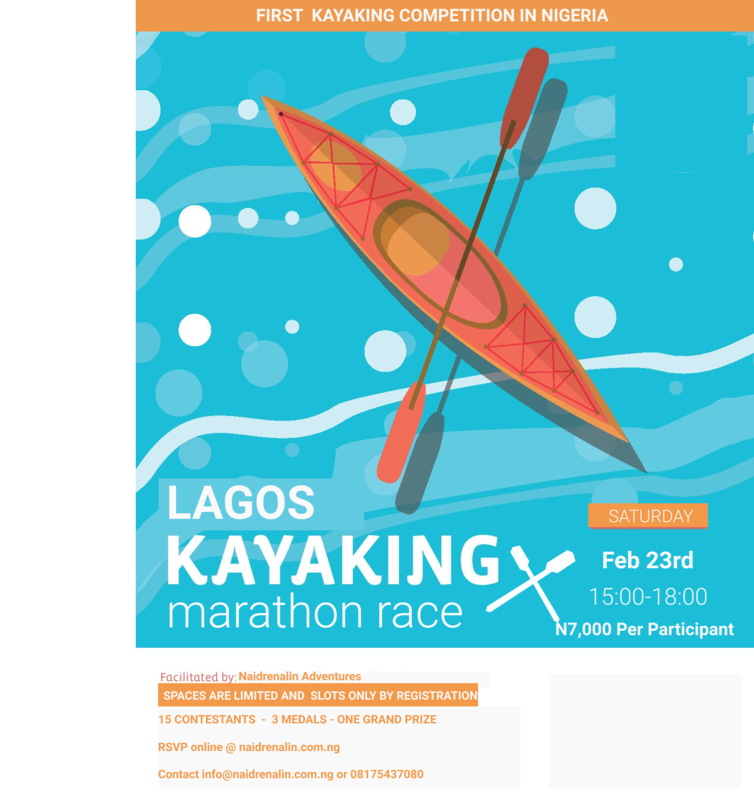 For first time kayakers, we shall give brief tutorials on how o kayak which is very simple to learn, before embarking upon your race. Kindly fill this form and make payment (7000 per participant) before Feb 13th, or your spot will be given to someone else. Do you have any medical conditions you think we should know about?